The Idaho Court of Appeals has upheld the prison sentences of Bruno Santos that were ordered last year in Blaine County 5th District Court. In a ruling issued April 17, the Court of Appeals found that Judge Robert J. Elgee had not abused his discretion by ordering prison sentences on Santos' two convictions for methamphetamine and cocaine sales made during undercover police operations in 2010. 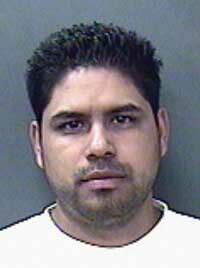 Elgee gave Santos 14 years in prison, with eight years to be served before parole eligibility, for trafficking in methamphetamine. In a separate case, the judge gave Santos 10 years in prison, with five years to be served before parole eligibility, for a conviction of delivery of cocaine. Elgee ruled that the sentences can be served concurrently. Both crimes are punishable in Idaho by up to life in prison. Santos appealed both sentences in July 2011, claiming that Elgee abused his discretion "by imposing excessive sentences." Santos, 28, is the former boyfriend of Sarah Johnson, now 25, who is serving two life prison sentences without the possibility of parole for the murders of her parents in Bellevue in 2003. Santos was originally a suspect in the Johnson murders but was never charged with a crime.